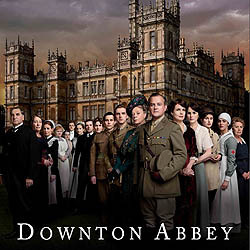 Downton Abbey was one of the most successful British TV shows in the last decade, enjoying enormous success both at home and abroad. We all know and love the show, so this is a rare and extraordinary opportunity to meet the man behind the success, Julian Fellowes, and share the journey of the first episode. In this exclusive Script to Screen, you will be invited to read the shooting script of this first episode (by downloading from our private link and reading at home) and then watch the episode, stopping and starting at each scene, to discuss with Julian exactly what was written, why and how it unfolded. Expect an entertaining, frank, inspirational and insightful experience you will never forget. Author of several best-seller novels, Oscar winner for Gosford Park and creator, writer and executive producer of the multi award-winning Downton Abbey. Our first ever MUSICAL Script To Screen is also an exclusive opportunity to examine the specific challenges of crafting an international hit under the creative conditions that really allow the movie to… pardon the pun… sing. Without doubt, The Long Good Friday is one of the greatest British films ever produced, one that invented the entire gangster British genre. Read the script, watch the film, listen to the writer.